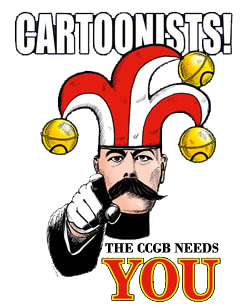 For many years on the back pages of Cartoonists’ Club magazine ‘The Jester‘ Bob Scrimshaw, Cartoon Guru delivered top tips, sage advice and wise words in all things cartooning to CCGB members. 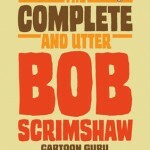 But now any cartoon disciple can reap the benefits as Tim Harries has released a compilation of his teachings in the new book “The Complete and Utter Bob Scrimshaw: Cartoon Guru”. 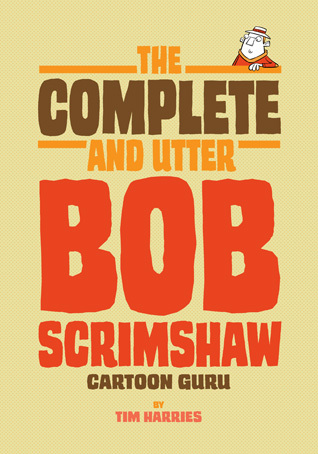 Every month Bob unreservedly offered his invaluable advice to fellow cartoonists – dealing with rejection, developing drawing styles and what hat to wear while pencilling roughs – and that’s just some of the topics covered in this rip-roaring, pencil-snapping 46 page, full colour, perfect bound A5 Book. 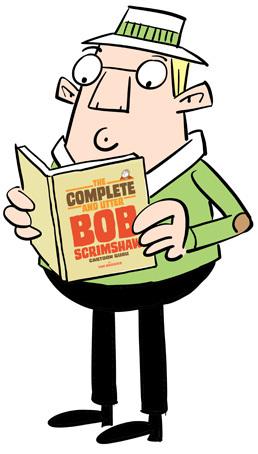 Available for only £4.99 plus postage (UK) and only £1.99 for the full colour digital PDF. 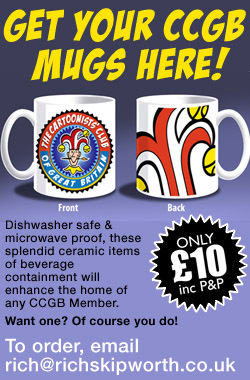 Cartoonists Club Members can email Tim for a special discount! 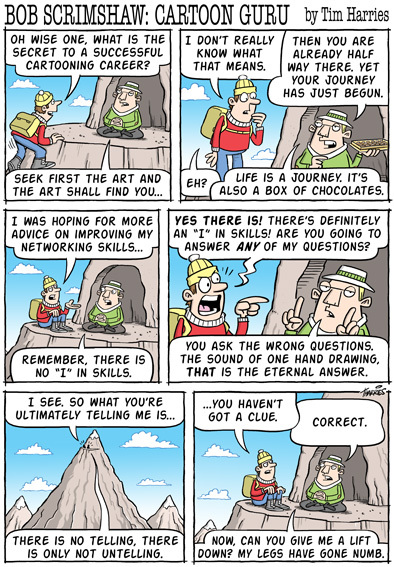 The Club goes to the Lakes International Comic Art Festival. Received my copy this morning and have put all other activities on hold so I can read it properly. 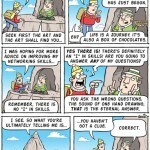 So beautifully drawn, so agonizingly true – can’t wait for the movie…. 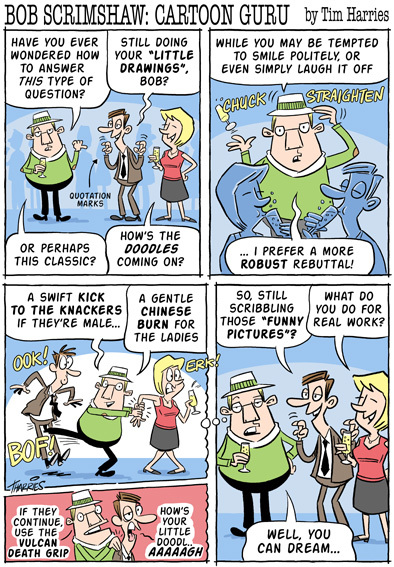 Cheers Peter – glad you liked it.